I knew as soon as Jake and I met Meri that this was going to be a special wedding. From the way she talked about her future husband, Carter, I could just tell how very much in love they were. 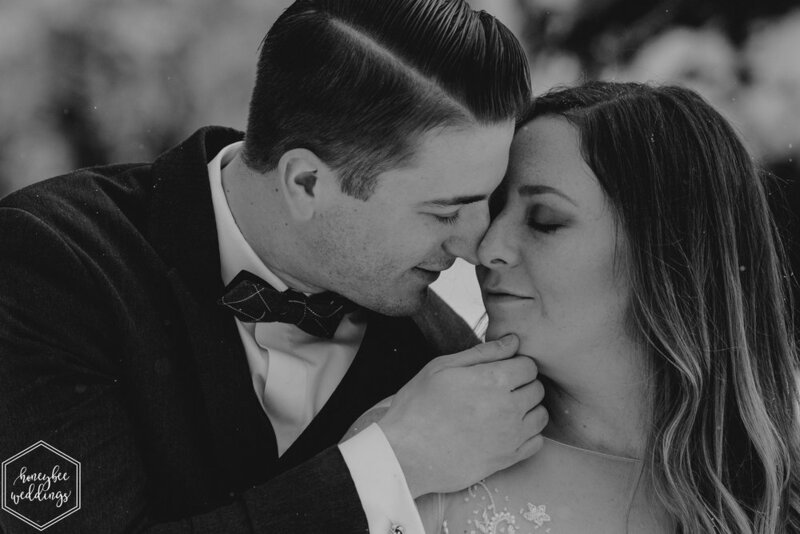 There was such a sweet moment during their first look when, after running hand in hand through the snow, Meri wrapped her arms around Carter, grabbed his bowtie and pulled him toward her for a kiss! 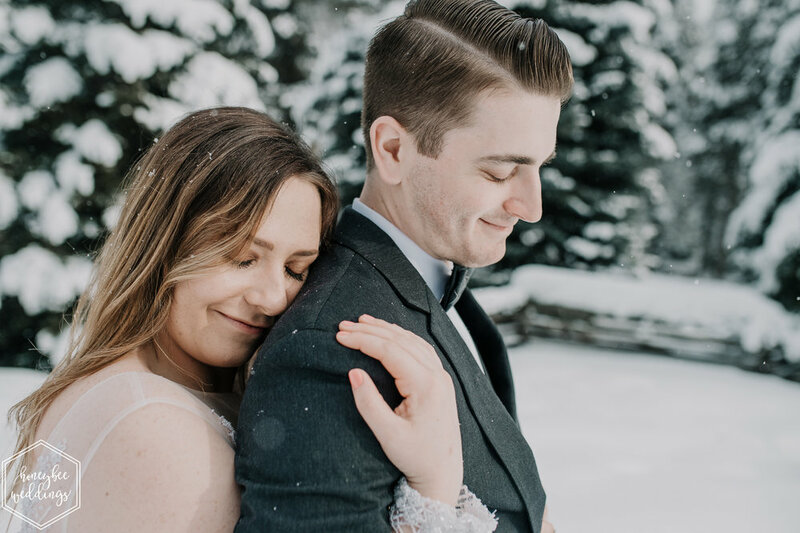 I’m biased, but snowy winter bride and groom pictures are my absolute favorite! I love how romantic the scene looks when we are outside of Missoula and the snow is falling down. We love Missoula couples for how outdoorsy they are and Grant Creek made for such a gorgeous wedding photoshoot location! The “guys’ night” was actually a meeting between Carter and her dad to talk about the proposal that Carter had been planning over in Seattle while he was stationed there in the Navy. Not gonna lie, as soon as Carter told Meri not to rummage in his truck (as IF she was even thinking about it before he said it), she thought he must be up to something… maybe a proposal (insert socially acceptable freakout)? Her suspicions were confirmed when he brought her up to her family cabin and had a setup of champagne and rose petals out on the dock with a Purple Haze fly perched on top (a nod to where they first met - when Carter sold Meri and her dad fishing licenses)! She stood on the dock and took it all in. Carter finally met her there, got down on one knee, tried to say her full name but only got to her middle name, and asked her to marry him. Meri smiled and threw her arms around him and said yes.